Technology has even made teaching and learning a fun. 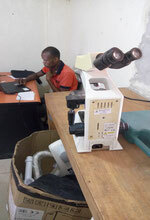 However, the infrastructure for technological boost in Liberia is still way behind. It's easy to see high schools and even colleges with no libraries and laboratories for practical. The EES is to use simple and easy and handy teaching and learning materials to breach the gap. We used less cost (as far $US1) to assemble easily made teaching aids. We sure our teachers how to prepare and use these. This year(2019), we will receive a grant from the International Astronomical Union to prepare more teaching learning materials. Each year, students in the final classes of Junior and Senior High Schools, sit joint regional exam administer by the West Africa Examination Council. The exams are mainly in the areas of science, math, English, etc. We support students who are preparing for these exams by organizing tutorials. During these tutorials, we teach the students how to approach questions and manage the their time to perform well during the exams. 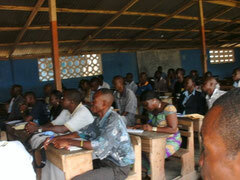 We also recruit volunteers who work as teaching assistants to the Liberian counterparts and preparing the students. Our volunteers have found these pairing to be exciting our the years. 03/12/18 The International Astronomical Union supports us with 2000€. Meeting with representatives of the Department of Math, Physics, and of the Liberian Science Foundation. School Experiments project completed (Oct 2016).